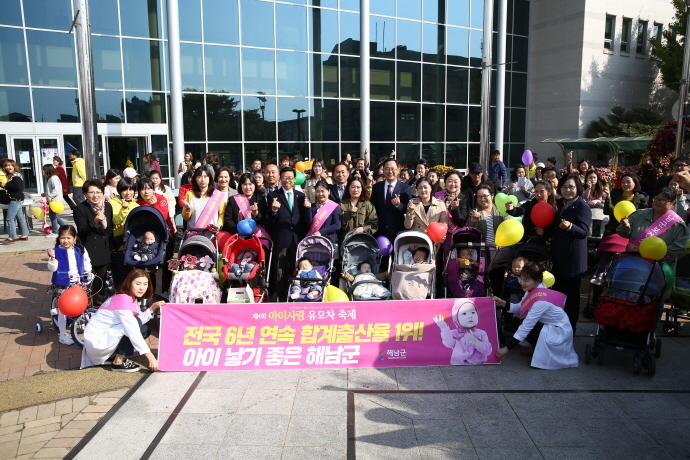 HAENAM, Nov. 7 (Korea Bizwire) — Haenam-gun in South Jeolla Province, boasting six years with the highest birth rate in South Korea, held a stroller festival on Tuesday. Haenam’s Baby Love Festival is held every year to celebrate the town’s leading birth rate and promote birth-friendly culture. 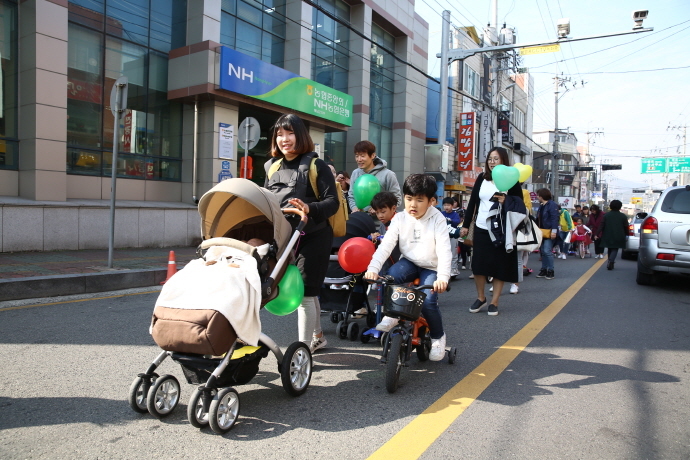 Families, local residents, and some 300 people filled the streets with baby carts and happy children as they went for a ‘stroller march’. Kids on their tricycles and seniors with silver cars also joined the crowd. Photos and slogan contests ensued, and prizes were given to parents with late or multiple children. 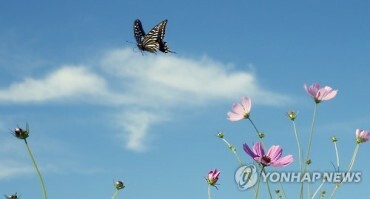 “The festival serves as a great opportunity to celebrate Haenam’s record birth rate, and promote a birth-friendly atmosphere,” Haenam County Governor Myung Hyun-kwan said.